Top of the morning to you as we approach the day of the smiling Irish, St. Patrick’s Day. Our dear Mother Antonia was Irish and we can still hear her singing those Irish favorites. 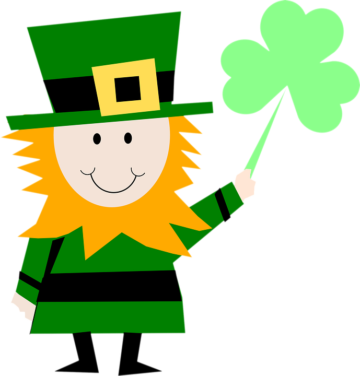 Although I’m Polish I remember well the St. Patrick’s Day parades in Pittsburgh were calm compared to Louisiana, where they would throw potatoes and heads of cabbage from their floats to those watching the parade. Although everyone looks forward to it, that sounds a little wild to me. Can you imagine getting hit by a head of cabbage or a potato? Like the old movie, “You could shoot your eye out.” I can see the Red Cross Ambulance buzzing. They say that many were drinking heavily, so I’m sure they never felt a thing. Today is the beginning of Lent, Ash Wednesday. We spent our day in the prison distributing ashes to some 8,000 prisoners and staff. As I was at my post, a prisoner came to me who already had received his ashes from another area but he wanted them again. Why not? A double reminder to repent. Spring is in the air and people all over are getting ready to do the farming, to catch up on baseball spring training, getting fishing gear ready and some of us are doing spring cleaning, inside and outside. Lent is a spring board for getting things looking good on the inside of our hearts. Of course along with Lent comes the reminder to fast, pray and to do some almsgiving. Many people try to do away with their bad habits for those 40 days of Lent. When I was in high school, we were encouraged not to wear a watch. Rather, when you notice that your watch is gone, you would be reminded to say a prayer for someone you don’t like, or for someone who is sick, or to pray and ask for forgiveness. Or put a penny in your shoe and when it moves or feels uncomfortable, then you are to say a prayer for a family member who needs conversion. Try this…if you are one who has a lot of good clothes but they grew too small…collect a few every week during Lent and put them in a bag and give them to the needy. This is just a small way to give and not expect in return. A little story of Mother Antonia…We went to the Peace Abby in Massachusetts to see Mother receive the Courage of Conscience Award. While eating with many guests we heard a variety of conversations going on around the table. One lady said, “If he would have dropped it and broke it, I would have died.” Mother kindly said, “Darling, If he would have dropped it and you would have died, give it away now.” Good advice Mother Antonia! March is a big and exciting month for us. The Sisters from the U.S. will be arriving for the renewal of our Vows and the Associates will be making Promises. All of this is on March 25 at 10 a.m. in our local Church. You are all invited to join us. We have 4 Candidates who will make their Vows. Three of them will be headed back to serve in their areas. After Easter we have 4 more coming and some even waiting. Again, our thanks go out to those few who financially supported us in the building of a chapel in memory of Mother Antonia. It’s almost ready!!! Anytime you are in the area please stop by and make a visit. We Sisters never cease to pray for you our donors. Even though you don’t share your troubles, it’s our joy to continue to pray for you and your family and friends. We also pray for you the caregiver. Words can’t express our deep appreciation for your every penny that you send to us for the needy. Without you we wouldn’t exist. I know that Mother Antonia joins us in our daily prayers for you. Like the spring rain, may God continue to pour out his Spirit on you and bring blessings and his healing to you and your family. Thank you again for your acts of mercy tucked in a little envelope for our needy.